Worth Ave. Group covers iPhones for Accidental Damage such as Drops and Spills as well as Theft. However, there are several ways for you to protect your iPhone from loss. Regardless, your iPhone is covered with Worth Ave. Group. But, if are looking for ways to prevent damage to your phone, here are a few suggestions. Screen Protector – Buy a screen protector. The screen protector will protect the screen from scratches as well as protect the glass from breaking when being dropped. Case -Countless iPhone cases are out on the market. It doesn’t matter which kind you choose. 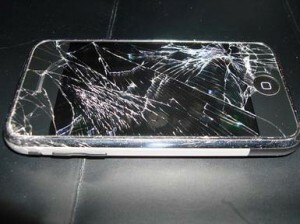 Just choose something that creates a barrier between your phone and any elements that could cause damage to the phone. Avoid Water – If at all possible, keep your iPhone away from water. Common places to avoid are sinks, bath tubs, pools, lakes and oceans. Also, keep your phone away from drinks that could easily be spilled. Prevent Theft – Keep your phone on you when in public places. If you set it down and walk away, you are at a high risk for someone else picking it up while your back is turned. With a few common sense preventative measures, you can ensure your iPhone will stay unharmed and right where it needs to be, in your hands.